Protesters have been staging a sit-in at Lakeview Elementary School in Oakland for the past four days to protest the closure of that school and four others. Kids paint during a "People's School" sit-in at Lakeview Elementary School in Oakland, Calif., on June 18, 2012. 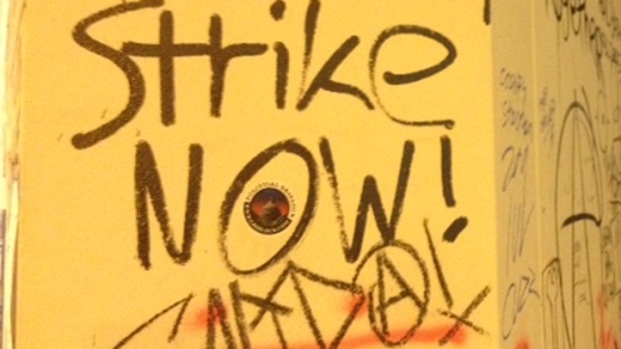 Protesters staged the sit in to protest the closure of Lakeview and four other schools. Oakland school district police issued a warning to demonstrators Monday who have staged a sit-in at Lakeview Elementary School the past four days to protest the closure of that school and four other elementary schools. School district spokesman Troy Flint said, "We recognize that school closures are divisive, and we allowed the protesters to make one last statement in a public way." However, he said, the district will ultimately have to remove the demonstrators if they don't leave on their own. The protesters have started a "People's School" -- a summer school-esque experience for the children. NBC Bay Area's Jodi Hernandez will have a full report in this evening's newscasts. 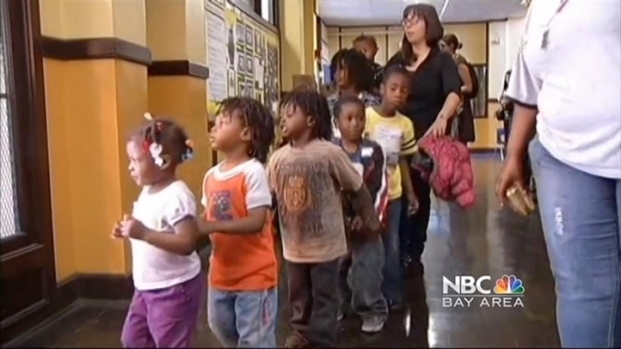 Moms and dads defy police orders by staging a sit-in at and teaching some of the classes at a shuttered East Bay school. Jodi Hernandez reports. Flint said the school closures "were ruled on decisively by a 5-2 margin by the democratically elected school board, and we have to take action." He said the school district has no plans to remove the protesters Monday, but that district officials handed out notices to protesters Monday morning to encourage them to leave on their own accord. Superintendent Tony Smith has said the school district will save about $2.2 million a year by closing the schools, and will use that money to improve other schools. Smith has also said the Oakland Unified School District's enrollment has been declining for more than a decade and that it operates far more schools than districts with nearly twice as many students. The other four elementary schools the district plans to close are Lazear, Marshall, Maxwell Park and Santa Fe. Joel Velazquez, the father of two children who attended Lakeview, said the protest began Friday afternoon and its purpose is to fight what he described as "the dismantling of public education around the country." Pamela Chinn-Scoffern, who has been a teacher at Lakeview for 25 years, said she is participating in the protest because, "You never say never, and we want to fight to the end." She said the protest may not save Lakeview and the other elementary schools on the closure list, but "at least we have made our point." Velazquez said protesters hope to offer a free summer school at Lakeview. However, he said that when school district police came to the school Monday morning, they scared away about 40 students who were planning to begin classes today. Velazquez said protesters hope to start the free classes later today or on Tuesday.